Mohammad Alhassoun won the Best Paper Award at the IEEE International Conference on RFID 2018, held April 10-12 in Orlando, Florida. IEEE RFID 2018 is the world's premier science and engineering conference for RF identification and related technologies. 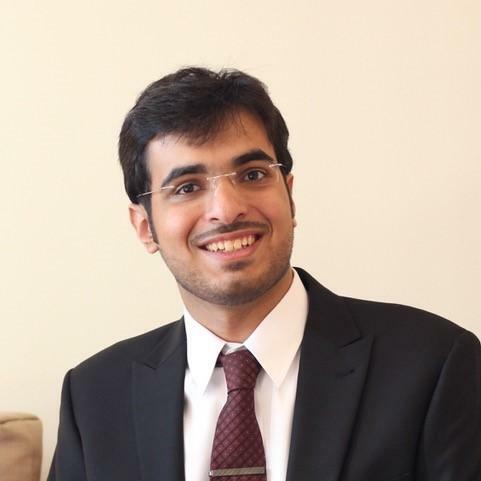 Alhassoun is a Ph.D. student in the Georgia Tech School of Electrical and Computer Engineering (ECE). He and his co-authors – fellow ECE Ph.D. student Michael Varner and their advisor, ECE Professor Gregory D. Durgin – were honored for their paper entitled "Design and Evaluation of a Multi-Modulation Retrodirective RFID Tag." The paper presented a new type of radio communicator that uses reflected power for communications. Operating much like a corner reflector in optics, this new microwave device reflects incoming radio power back to where it originated, adding bits of information to the signal in the process. The device will enable many low-powered or energy-harvesting radios to communicate over long distances. Alhassoun and Varner work in the Georgia Tech Propagation Group, which is led by Durgin. For more information about their work, visit http://www.propagation.gatech.edu.